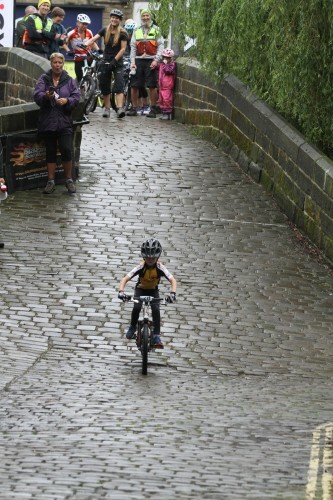 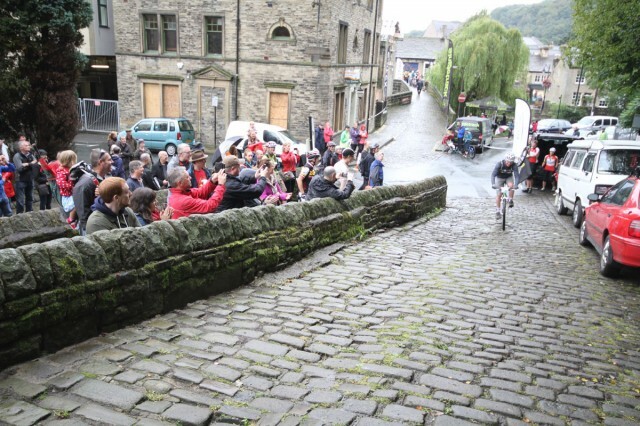 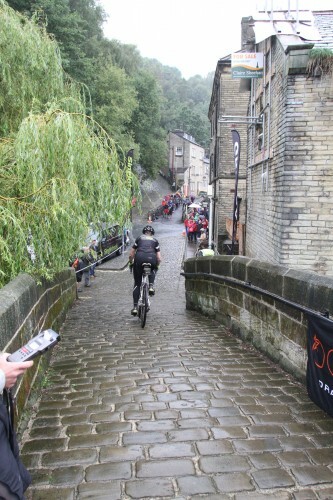 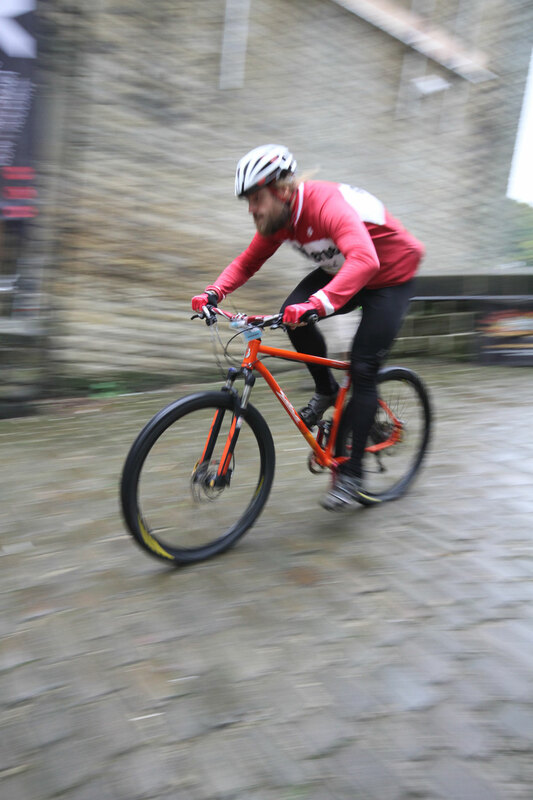 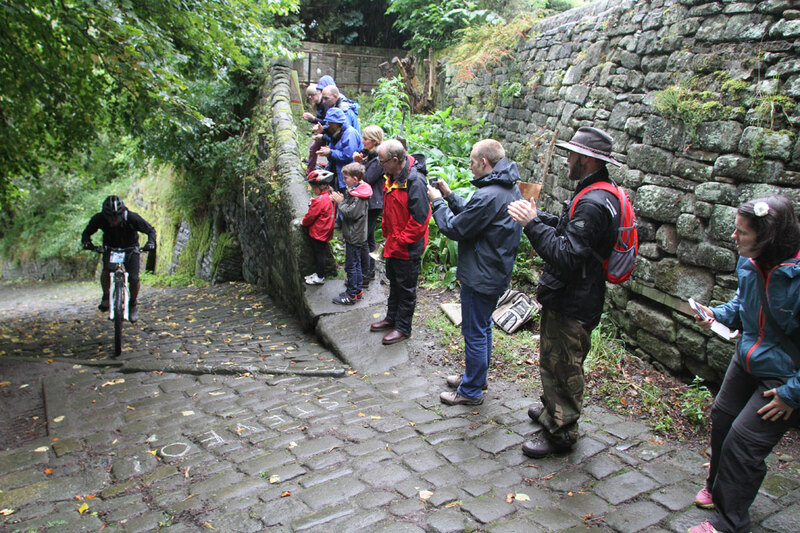 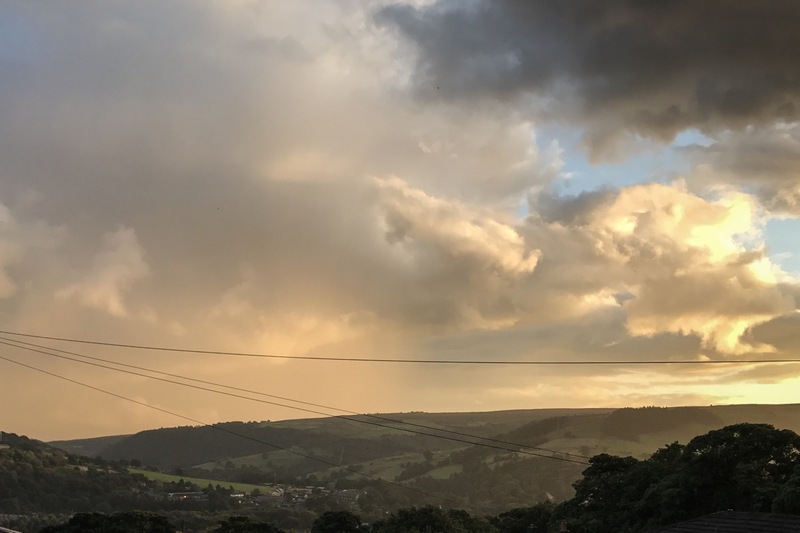 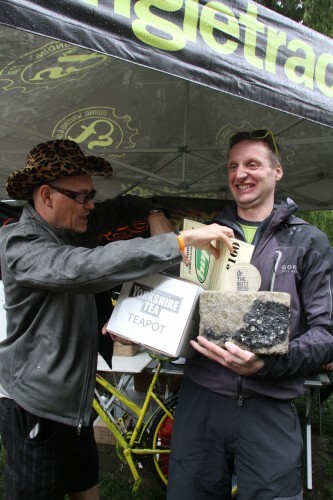 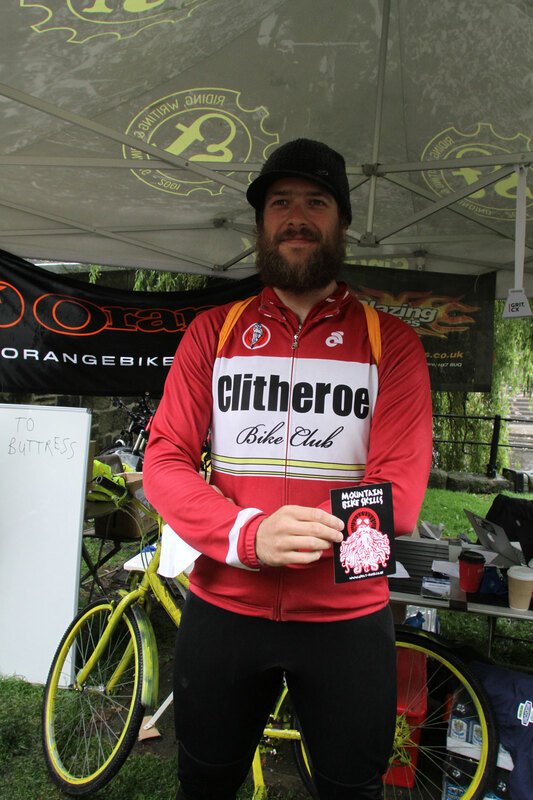 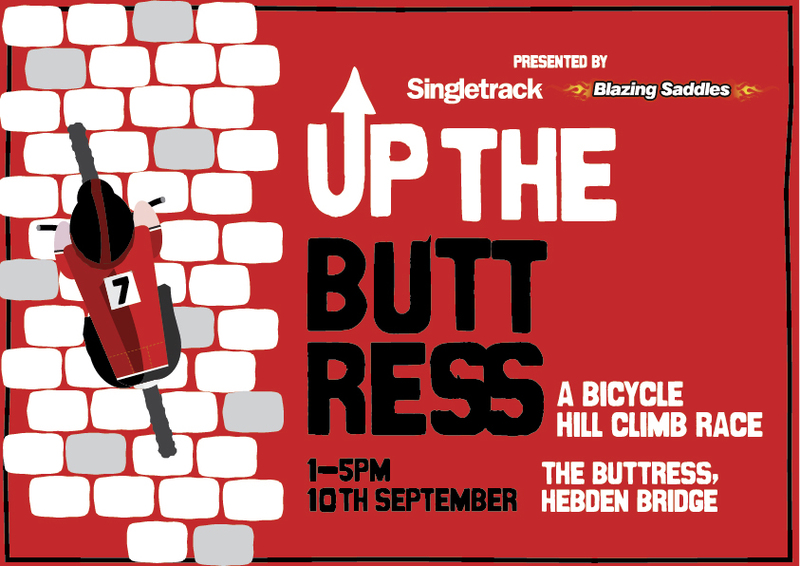 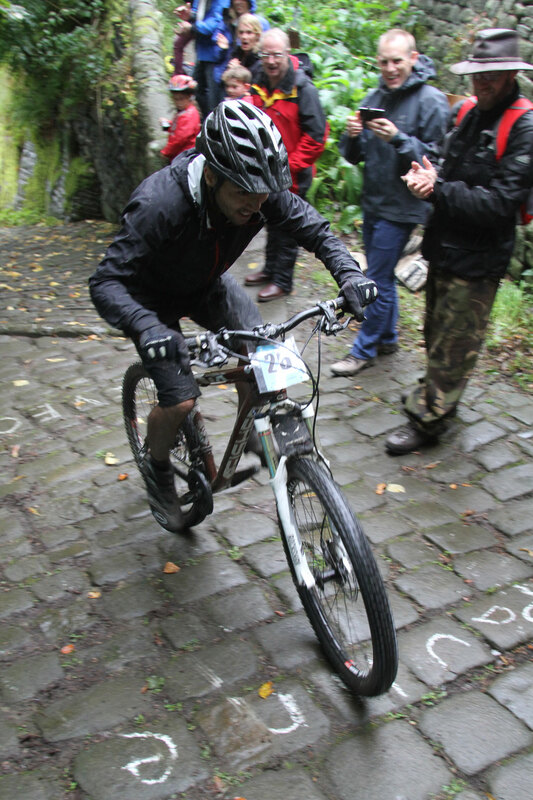 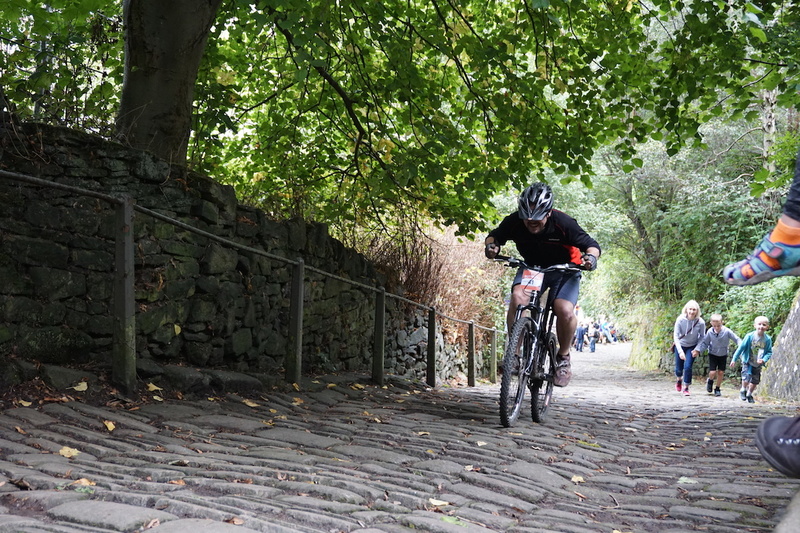 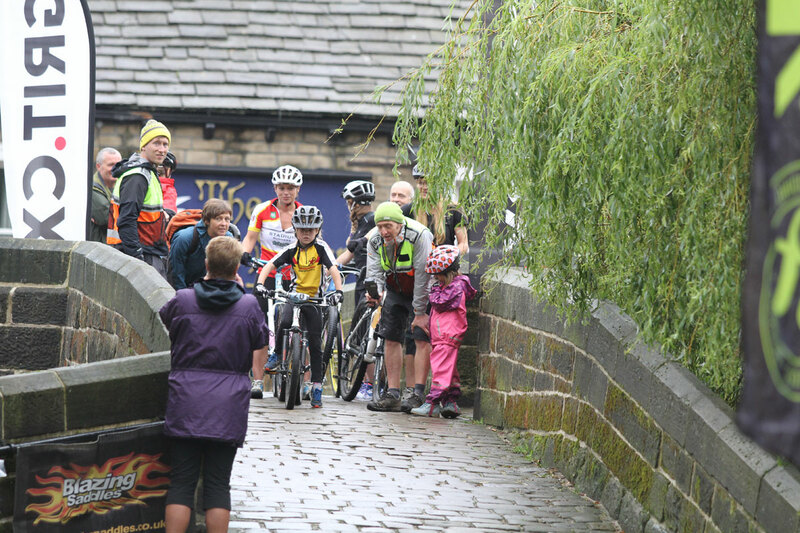 With the infamous cobbles of the Buttress running greasier than an Ali Baba’s kebab, it was clear that anyone taking part in this year’s Up the Buttress Hebden hill climb would have to spend time working on optimal tyre pressure and pedalling technique if they wanted to be in with a chance of winning. 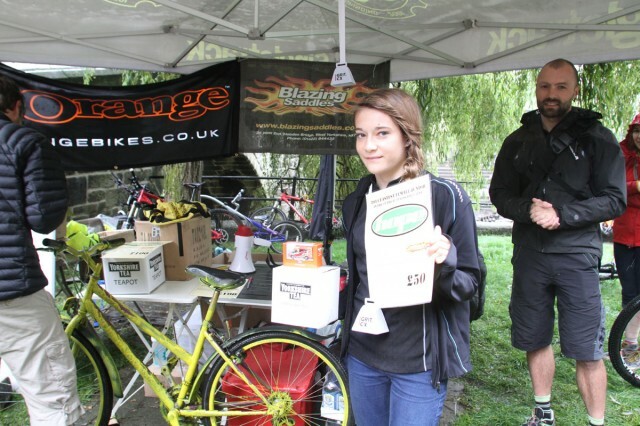 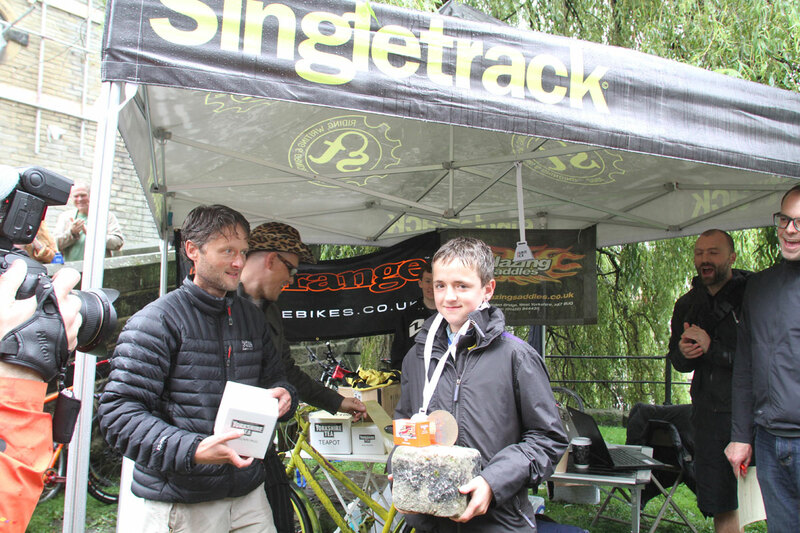 Another good turnout saw riders battling for traction in front of an encouraging/heckling crowd for a chance to win something from the prize pile kindly donated by race sponsors. 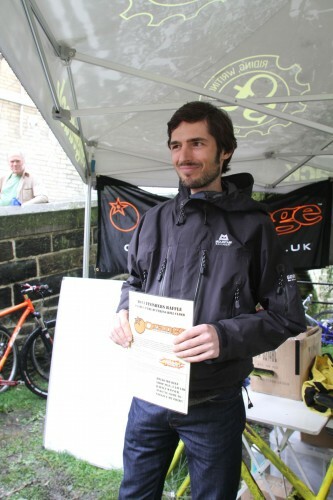 Was that Matt Wild with the electric shouty tube? 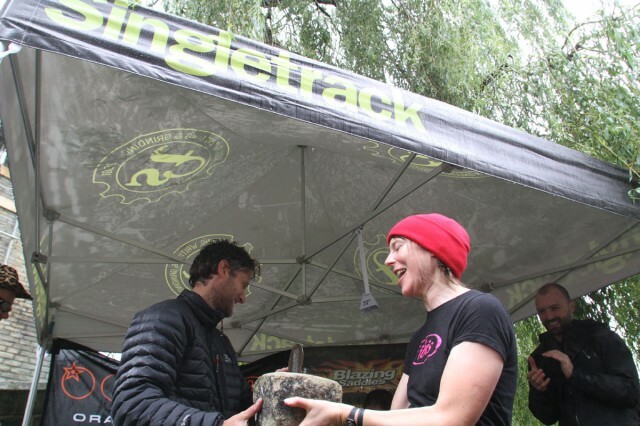 out of interest – did any fat bikes take part? 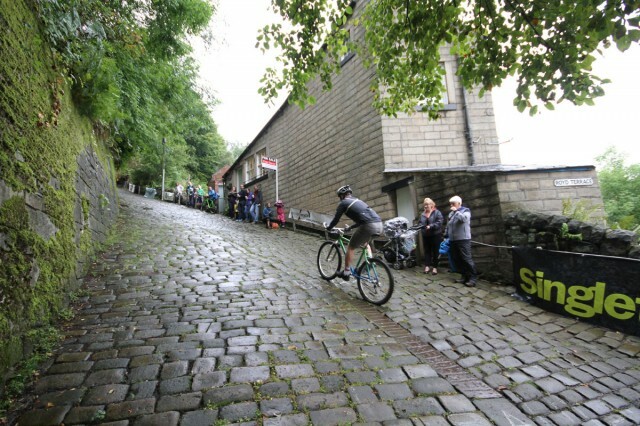 Were they any good? 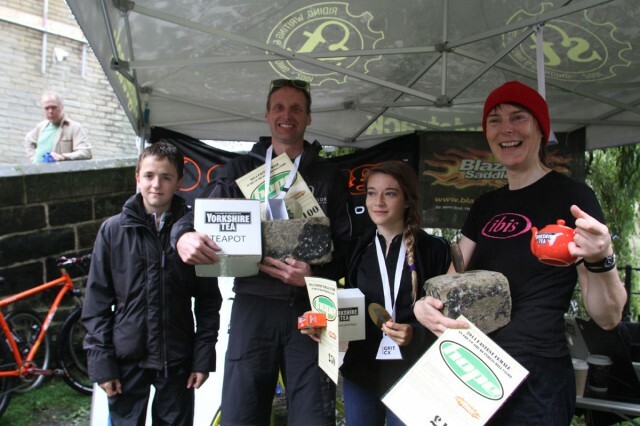 No fat bikes took part.